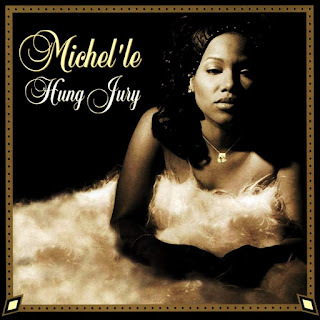 It took Michel'le nearly a decade to release a follow-up to her hit-laden self-titled debut, and the results on Hung Jury are pleasant, but never really equal her previous heights. To begin with, nothing on this album is as immediate or memorable as "No More Lies" or "Something In My Heart." The title track is catchy, but is weighted down by banal lyrics like "I like to freak seven days a week." "Crazy" comes off as a somewhat tepid update of her hit "Nicety," and some of the other tracks, such as "Wasted My Tyme" and the fun "Tonight Is," sound as though they came straight from 1989. Some songs do manage to hold their own, such as "Can I Get a Witness," the aforementioned "Tonight Is," and "Here 4 U" (the album's best track), but some fall downright flat, such as "No Where 2 Run." Although this album is not without merit, it seems as though Michel'le ran out of steam somewhere between 1990 and 1998.